Current politics will affect high school students, but is it being covered accurately? Photo by Stephanie Wang. Republican lawmakers this week continue to deliberate and push their plan forward with goals of reducing taxes and reducing the presence of Obamacare, which they failed to do earlier this year. The plan is designed to reduce taxes for people of all incomes, along with eliminating the mandate under the Affordable Care Act that requires people to have health insurance in 2019. This was with the idea in mind of reducing the national debt and fostering job production to aid the middle class. Researching this new plan brings up a multitude of news articles, many of which discuss the negative effects of the plan’s tax breaks and how it will hurt health care. On Twitter, responses to the GOP range from slight optimism to extreme negativity. Meanwhile, tags like #taxscambill and #resist are popular on social media where posts document protests against the bill. I originally began writing about the possible effects of the GOP tax overhaul on healthcare. From the research I conducted, it seemed clear cut: the bill would just cut taxes for the wealthy and cause healthcare premiums to rise since more healthy people would opt out of insurance. However, as I continued to gather facts and researched more points of view, it became more apparent that the issue was much bigger, ranging from tax breaks, private jets and continuous revisions where information changes from day to day. Journalism ethics rely on accuracy and the least amount of bias possible to properly spread information. It is my duty as a journalist to look past the emotionally powerful words and find the objective truth behind statements that might sway in one direction. But as I tried to write about this bill, the more I realized how many limitations I had in writing this article. Living in the mostly liberal state of California, it was possible that the news I had read was filtered through liberal lens. Doing research on the websites I had referenced, such as Politico, Bloomberg and The Washington Post, revealed that many of them swayed slightly to the left, or at least mediabiasfactcheck.com reports so. Getting information from news that swayed slightly to the right to find new perspectives brings more issues about who to trust. Of course, when a majority of people disagree with the bill, as seen in a 29 percent approval rating surveyed by Quinnipiac University, and there is a multitude of evidence that a bill like this might lead to failure, one standpoint seems more convincing. However, in terms of politics, a saturation of negative viewpoints should not mean that something is necessarily wrong, and to believe so would be a fallacy. An example of this occurred in the 2016 elections, where media coverage was so focused on the negative characters of Donald Trump and Hillary Clinton that the possible benefits or flaws of their policies were somewhat neglected. For high school journalists, most of the sources about current politics are only the news articles of other publications, and there is no way to discover the information from a direct source. Without having the vast political knowledge that professional journalists who specialize in politics or experts have, it is rather difficult to have an objective or precise standpoint on these complex topics. 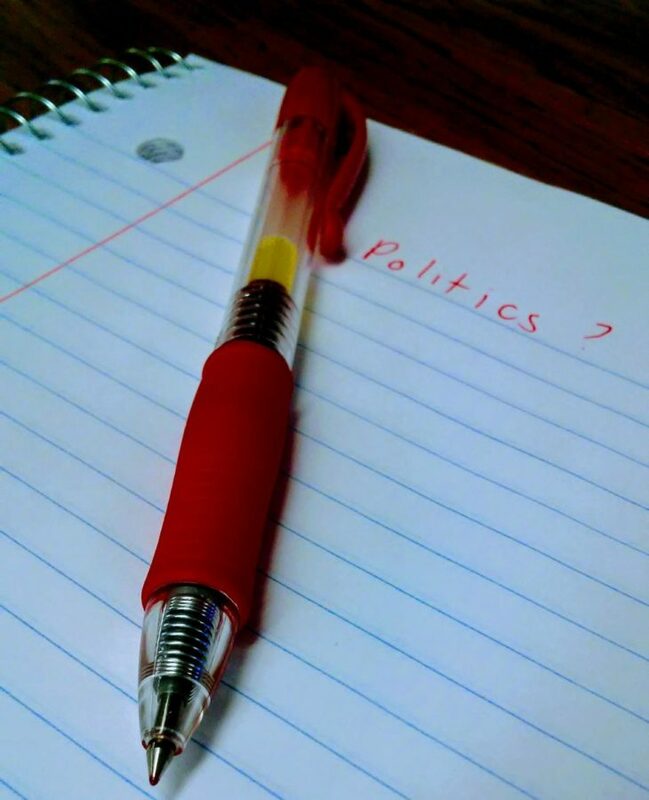 I write for a high school audience, where I need to be able to simplify the complicated topics of economics and policy so that the average high school student can formulate a comprehensive view on what is happening in the world of politics without being confused by statistics or predictions. In doing so, I run the risk of simplifying too far and omitting necessary information, or falling too far to one side and possibly not accurately representing a group. Keeping the information as it is straight from the lawmakers would be difficult to understand without prior legal knowledge. Even when I interviewed my peers and other high school students my age on how they might be affected by these changes, I could not get a proper response since they themselves did not have a clear understanding or did not care enough about politics to have an opinion. This forms the basis of the problem with the coverage of politics for the youth. Not only is it difficult to obtain the straight facts, but political concepts are often lost to a demographic that cannot even understand, not to mention form an opinion on what is going on in their own government. This leads to a general sense of apathy and the idea that, “we’re doomed anyway, so why even try?” This is especially evident in a bill that may directly affect high school students yet close to none of them are aware of. We know that politics should matter to young people. We know that we are the future of America. I know that I, as a high school journalist, have a responsibility to bring knowledge and awareness to my peers. But at this point, I am at a stalemate as to how high school students are supposed to achieve this.